Thank you for visiting another one of Okaz Motors's online listings! 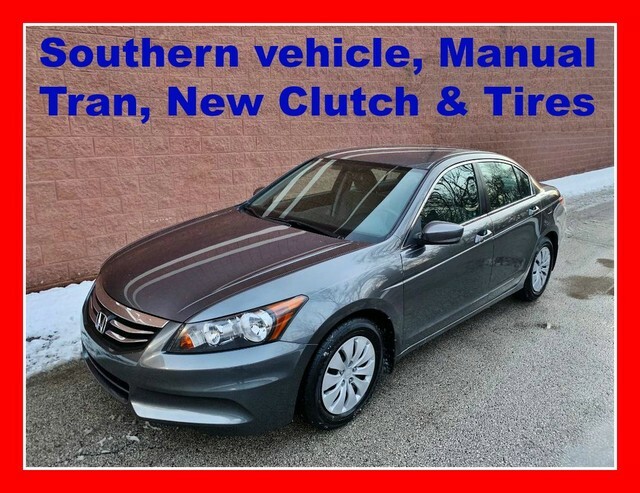 Please continue for more information on this Southern 2011 Honda Accord LX with 74,889 miles. All 4 tires on this vehicle are brand new and have no wear. Great service history records being reported to CarFax don't forget the click to view vehicle history report. Drive home in your new pre-owned vehicle with the knowledge you're fully backed by the CARFAX Buyback Guarantee. This wonderfully fuel-efficient Southern vehicle have brand new clutch, offers a supple ride, quick acceleration and superior styling without sacrificing MPGs. One of the best things about this Honda Accord is that it has low, low mileage. It's ready for you to truly break it in. This wonderfully maintained Honda Accord is in the top 10% of its class when it comes to cleanliness and condition.